Cut the fuss. Find millions of influencers per keyword. Manage leads with a powerful but user-friendly Influencer CRM. 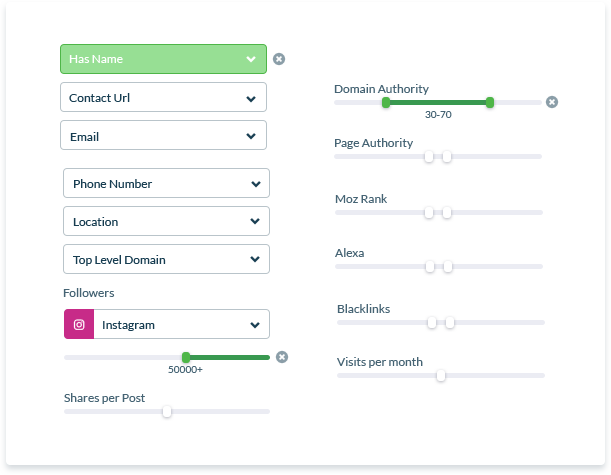 Influencer CRM function automatically crawls lead profiles for email addresses, contact info, social accounts, websites, SEO, and engagement stats. Scrap complex influencer CRM functions. 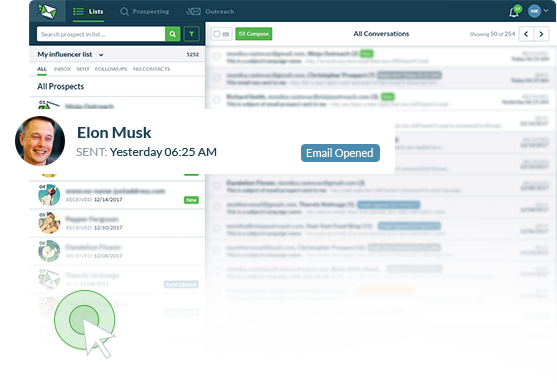 Categorize who receives what email and when in just a few clicks. Find the best leads in just a few clicks! 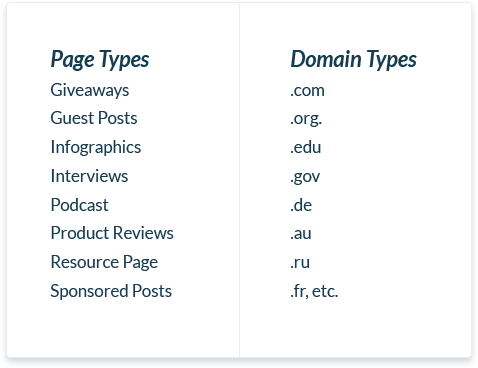 Type niche + location keywords and sort by followers, domain authority, or other metrics. Advanced influencer CRM features lets you filter by domain and web page types to find your specific lead types. See all crawled info such as online profiles, emails, SEO & engagement metrics. Fix inaccuracies or add any missing data in editable profile cards. Note deadlines, instructions for teammates, or specific details for each lead. Influencer management made easy and effective! 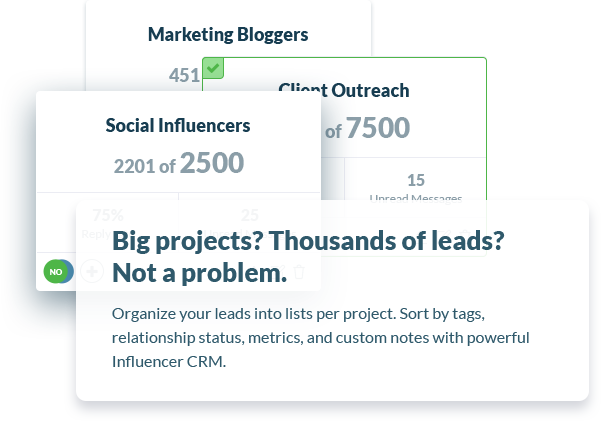 Use influencer CRM Smart Tags or create your own so you can find leads on your list instantly. 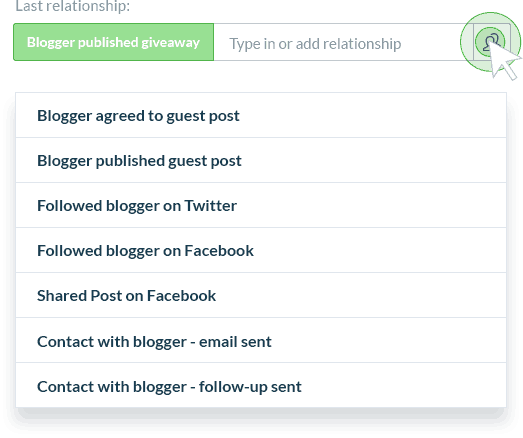 Integrate your email to get Influencer CRM features. Save all conversations and interactions. Get notified when a lead has replied or a follow-up is due. See how many valid email addresses you’ve collected. Track your campaign’s total emails sent, click-throughs, and reply rates. Track opens, clicks, and replies per template, and know which leads are behind each action. You can also see who never replied or has unread replies. Find, save, and organize leads while searching on Google. Sync the Chrome Extension with your account for on-the-go influencer CRM. Track your interactions with each lead. Choose from pre-made relationship status labels or create custom ones.